Following from the success of our wedding day favours package, We can now offer a similar service for all events. Using your choice of fragrance, a customised label, and organza bags, these favours can add to any anniversary, birthday party or event. Minimum order is just 18. 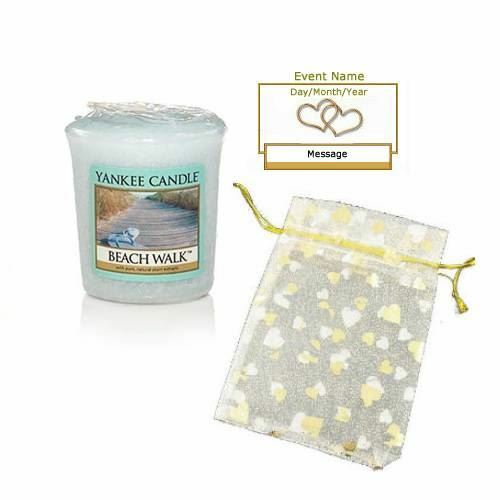 Using your choice of fragrance votives, a customised label, and organza bags, these favours can add to any anniversary, birthday party or event. A great way to remember that Special Day!